These kinds of dishes are one of our absolute favorite ways of eating. I love the concept of the variety of flavors and nutrients, and the flexibility – this recipe isn’t hard and fast, because if there’s an ingredient you don’t have on hand, simply swap it out for something that you do have which you think would complement the other flavors (or even the colors!) but which is still a great representation of all of the macronutrients. 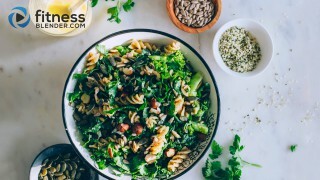 You know the value of having varied sources of protein in your daily diet for optimal health, and this easy healthy recipe certainly delivers. Just look at these delicious ingredients! One avocado has four grams of protein, which is one of the highest among any fruits (yes, it’s a fruit). And not just that, but it’s good quality protein too, including 18 of the important amino acids that your body’s protein-building process needs. Chickpeas are made up of 23% protein, are low in fat, a good source of carbs, and are inexpensive to boot. Quinoa is well known for its high protein content, with 18 grams per cup, a healthy bit of carbohydrate, and it’s one of the few grains which has all nine of the essential amino acids. 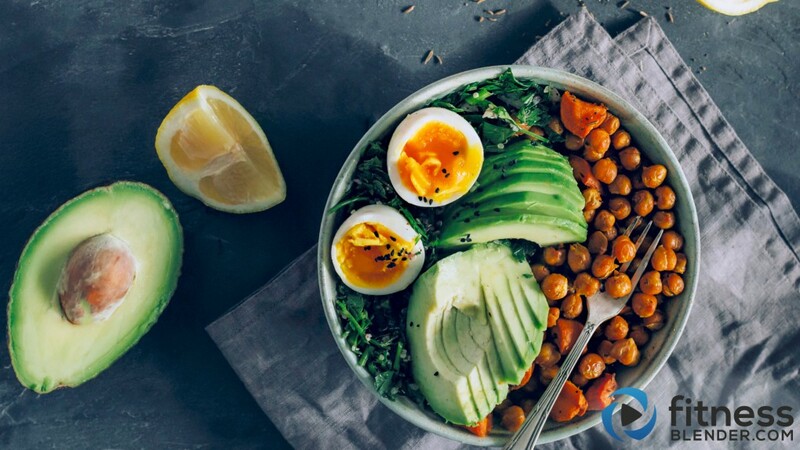 Carrots are one of the 14 top vegetables which are highest in protein content – while not as high in protein as some of the other ingredients in this harvest bowl, it makes a great assortment vegetable to add. This might surprise you, but parsley doesn't just make a good garnish – its leaves contain beneficial vitamins, minerals and nutrients. It’s really easy to grow, even indoors, so there’s really no excuse not to have fresh parsley on hand all the time. The juice of the lemon also adds the antioxidant vitamin C to the picture, as well as a host of other health benefits. As for most of these other ingredients, they’re also really versatile in many dishes, and add a lovely punch of tart flavor to your meal. Eggs are also well known as an excellent source of high quality proteins; they have the best taste when they're free range, organic. Some proteins come in a solid form, others are flexible in cell membranes, and yet others are mobile. They are varied, as are their sources, and here’s some of what they do: proteins can help with weight control because they reduce your hunger and help control cravings, as well as boosting your metabolism and helping to burn fat; they increase your muscle mass and strength; they’re excellent for good bone health; they can lower your blood pressure; they help keep you fit as you get older; and they can help your body to heal faster if you’ve been injured. Preheat the oven to 175°C/347°F. Add the chickpeas and carrots onto a baking sheet, drizzle with coconut oil, add the spices and salt and toss to coat evenly. Roast for 20 minutes, then remove from the oven and set aside to cool. In a medium bowl add the parsley with onion, quinoa, lemon juice and olive oil, and mix to combine. Divide the roasted chickpeas and carrots into the serving bowls, then continue the same with the parsley salad. Add the avocado slices and top with the boiled egg, then serve.